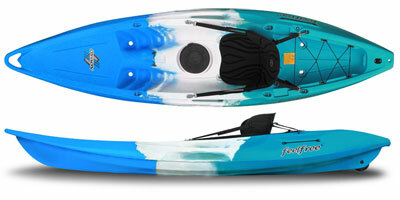 A Very popular Sit On Top kayak design for all-round paddling on the sea, rivers, lakes and estauries. Great fun in small surf at the beach. Made in the UK and formerly known as the Perception Scooter. 13 foot in length, the Triumph 13 is one of the best touring sit on tops available offering more forward speed and straight line tracking than general purpose 9-10ft Sit On Tops. Ideal for coastal touring, river cruising and exploring sheltered waters. 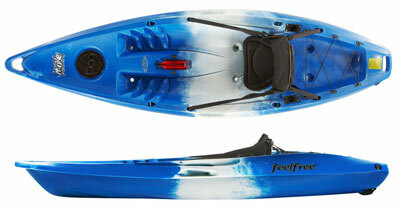 It's also very simple to add a few rod holders, to make the Triumph an excellent entry level fishing kayak.